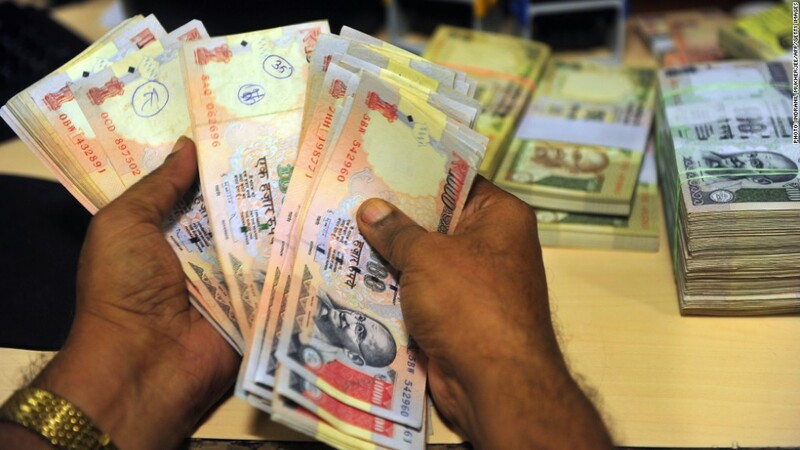 India's rupee has weakened in recent days amid concerns about emerging market economies. Equity markets around the world were battered Monday amid growing volatility in emerging markets. Asian markets closed sharply lower, with benchmark indices in Tokyo, Hong Kong and Mumbai shedding more than 2% as investors looked to move out of riskier assets. South Korea's KOSPI Index was off by 1.6%. European markets were also slow out of the gate, with broad declines across the continent. In currency markets, the yen gained ground against the dollar as investors parked their money in traditional safe havens. Emerging market currencies extended losses, building on a trend from last week that hit the Argentinian peso, Turkey's lira and India's rupee especially hard. Emerging markets have been hammered in recent days due to the possibility that the Federal Reserve, Bank of England and Bank of Japan will pull back on propping up their own economies. Signs of weakness in China's huge manufacturing sector and a looming default in the shadow banking system have only added to worries. "The fear is that the Fed, Bank of England, and even the Band of Japan will become less dovish more quickly than had been thought even a few weeks ago," said Steven Englander, head of foreign exchange strategy at CitiFX. Related story: Will stocks break out of their rut? Developing markets were the prime beneficiaries of low interest rates in the United States, which encouraged a rush of capital into the developing world. Should rates rise and that trend reverse, vulnerable economies could take a hit as their currencies weaken and investors flee. The Fed will reveal its latest policy decision Wednesday. At its previous meeting, the Fed announced plans to begin scaling back its massive stimulus program by $10 billion per month to $75 billion in monthly bond purchases, citing signs of economic growth. Even though the economy only added 74,000 jobs in December, many market observers expect the Fed will continue to cut back on its quantitative easing.